Rev B. F. Tharp is listed in an ad as a planter using a cotton gin sold by Dixie Works in Macon, Ga. Friendship Association - This body convened with the Baptist Church at Lebason, Sumter County, Ga. on the 1st in ____. The Introductory sermon was preached by Elder G. T. Wilburn, and was replete with gospel truth. Elder Geo. F. Cooper was elected Moderator and J. H. Cawood Clerk. The meeting of the Association was characterized by the singleness of purpose which seems to possess the minds of the members: to extend the Redeemer's Kingdom and to ameliorate the condition of the world. The claims of Mercer University were represented by Elder B.F. Tharp, who succeeded in raising twelve hundred dollars towards increasing its endowment. In Sumber county, GA, three miles north of Americus, on the 22nd inst., with congestion, sister Elizabeth Underwood, in the 75th year of her age. At the residence of W. Tharp, on the 9th inst. by C.C. Sheppard, Mr. Robt. H. Parker of Thomas County to Miss Mary E Derriso of Sumter County. Whereas, M.A. Tharp, Attorney in fact for Mrs. Susan E. Tharp, applies to me for leave to sell all the land belonging to the estate of Benjamin Tharp, late of said county, dec'd. On the morning of the 7th inst., at the residence of the bride's father, J.H. Walker, in Sumter county, by Rev. Wm Tharp, Mr. Wm. Barrow, of Lee county, and Miss Rebecca Walker, of Sumter. On Chritmas day Mr. W.E. Tharp, overseer on the plantation of Captain W.H. Morgan, in dooly county, made his annual Christmas visit to Americus with the negroes working on the place. A wagon load of cotton was brought along and sold, the hproceeds being divided among the hands. This is done every Christmas, and the consequence is Captain Morgan is never without plenty of labor. He has had most of his present employees since 1865 and they will not leave him. Mr. Tharp made for 1880, with thirteen mules, one hundred and eighty bales of cotton; from 2,500 to 3,000 bushels of corn; twelve barrels of syrup, fourteen hundred bushels of potatoes, and plenty of peas, fodder, and oats, and nearly enough meat to run them for '81. --- This is the way to keep your hands and the way to be happy at home. At noon, on the 2nd inst., at the residence of the bride's father, Judge C.L. Battle, of Schley county, Dr. Will D. Sears, of Ellaville, and Miss Emma D. Battle, Bishop W. Tharp officiating. Rev. Washington Tharp has been recalled to fill the Baptist church pulpit at Ellaville next year. He is a fluent speakier, his doctrice good, and that people should be congratulated. W.E. Tharp, son of C.A. 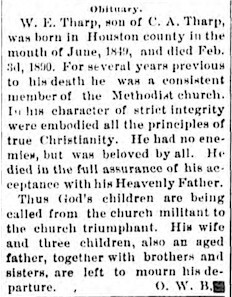 Tharp, was born in Houston county in the month of June, 1849, and died Feb. 3d, 1890. 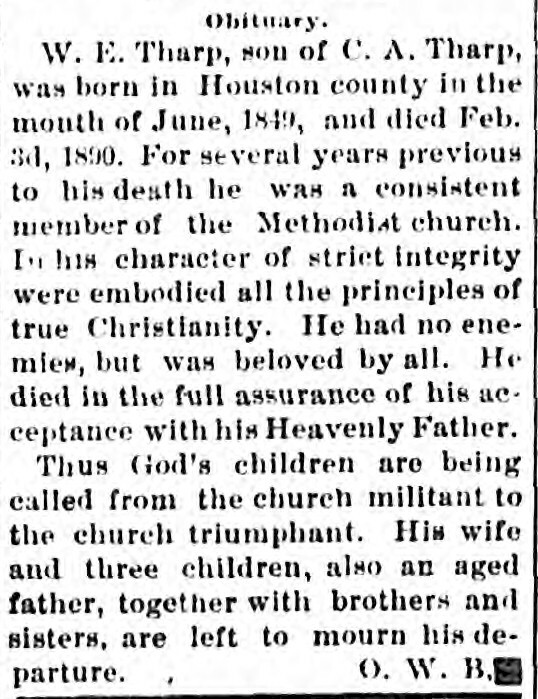 For several years previous to his death he was a consistent member of the Methodist church. In his character of strict integrity were embodies all the principles of true Christianity. He had no enemies, but was beloved by all. He died in the full assurance of his acceptance with his Heavenly Father. Thus God's children are being called from the church militant to the church triumphant. His wife and three children, also an aged father, together with brothers and sisters, are left to mourn his departure. O.W.B. Miss Mattie Ansley, who has been spending several weeks with her grandparents, Dr. and Mrs. Tharp, in Perry, has returned home. Mr. George Tharp, and wife, Mrs. Burnett and Mr. Ben Tharp, from Bibb county are visiting Mr. A. Chappell's family on their way to Americus. Miss Vesta Tharp has returned home after a very pleasant visit to relatives and friends, at Plains. Preston - Mr. T. Cobb Tharp left Friday for Leesburg, where he has accepted a position in the bank there. Mr. Tharp has been assistant cashier in the bank here, and is a very promising young man. He has many friends to wish for him much success. Mrs. Mackie Tharp attended the marriage of her son, Mr. T. Cobb Tharpe, at Leesburg last week. She was accompanied by her daughter, Miss Vesta Tharpe. Preston, Ga., Nov. 29 - An event of much interest to a wide circle of friends was the wedding of Miss Vesta Tharp and Mr. Orion Maddox, which occurred at eleven o�clock Thursday morning at the home of the bride�s mother here. The house was elegant and artistic in its decorations of Southern smilax, trailing everywhere, while white and yellow chrysanthemums banked mantels and stood in majestic beauty in tall vases rising from feathery banks of ferns. The rooms, opening en suite, gave the appearance of a long drawing room through this lovely vista, beneath the soft light from a dozen candles, came the ribbon bearers, petite Miss nannie Thorton and Master Sion Hawkins, with the caciore faire necessary to the occasion, followed by the matron of honor, Mrs. David Jennings, and Mr. Theron Jennings, who served as best man, immediately preceding the bride and groom. Mrs. Cobb Tharpe played Mendelssohn�s wedding march as the bridal party entered and during the ceremony, which was performed by Rev. Mr. Bussey, of Cussea, a long time family friend, who awaited the bridal couple at the altar arranged at the end of the room, with ferns and palms, and candelebras holding yellow candles on tall pedestals, further carrying out the color scheme. The matron of honor was lovely in a white suit with beautiful trimmings and a white picture hat, carrying a bouquet of pink Killarney roses, tied with tulle. While the bride was most becomingly gowned in her traveling suit of blue cloth, with hat and gloves to match, and carried a huge bouquet of white carnations, tied with tulle. Many and elegant were the gifts from the friends and relatives of the couple attesting the popularity of each were on display in the dining room. An elegant reception followed the beautiful ceremony, during which a delightful luncheon and hot chocolate was served the guests. 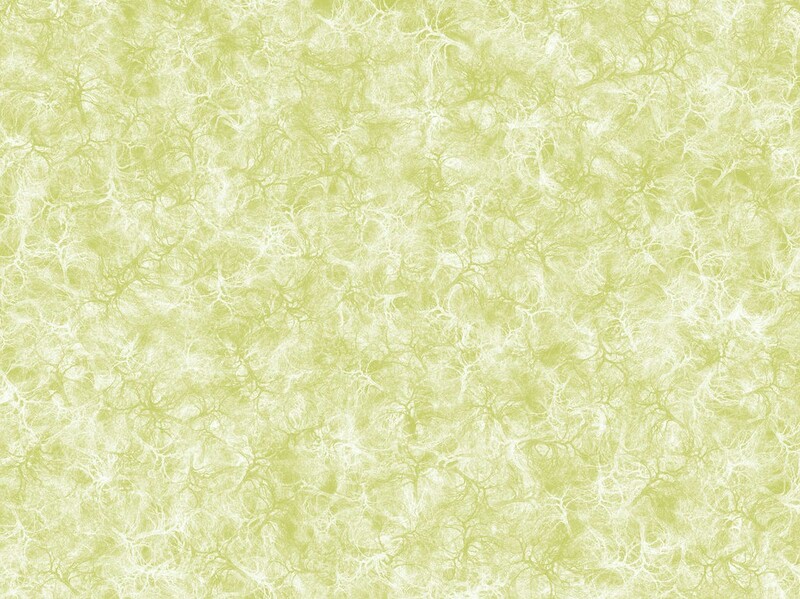 Mrs. Tharp was assisted in receiving by Mrs. King Stillman and Miss Fannie Terry, which Miss Ruby Kidd, wearing a white lingerie over pink, served punch in the dining room, where the colors were pink and green. Mr. and Mrs. Maddox left on the noon train for Savannah, where they will make their home followed by the good wishes of a host of friends.